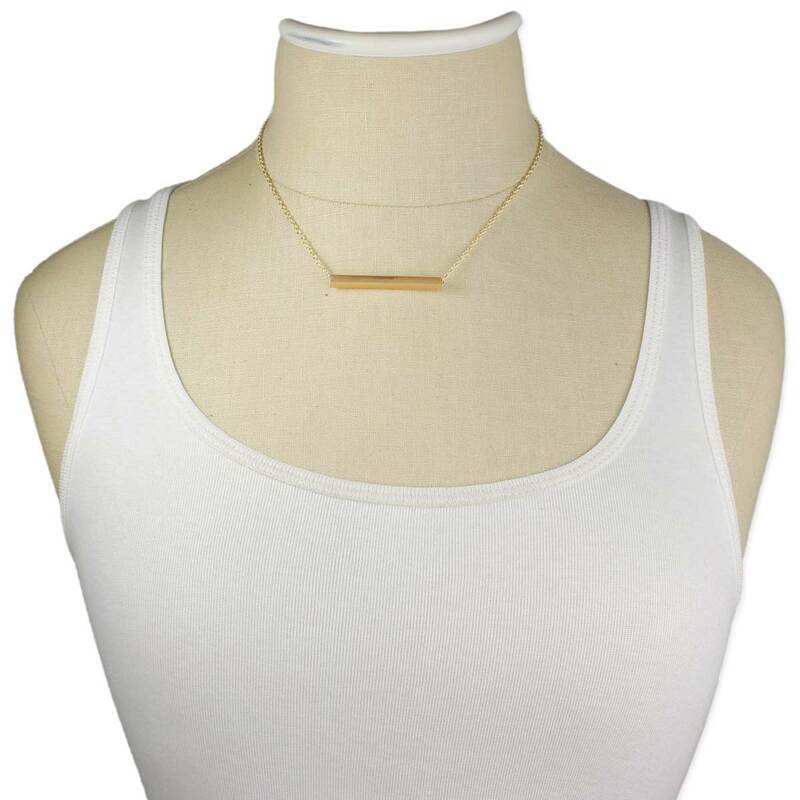 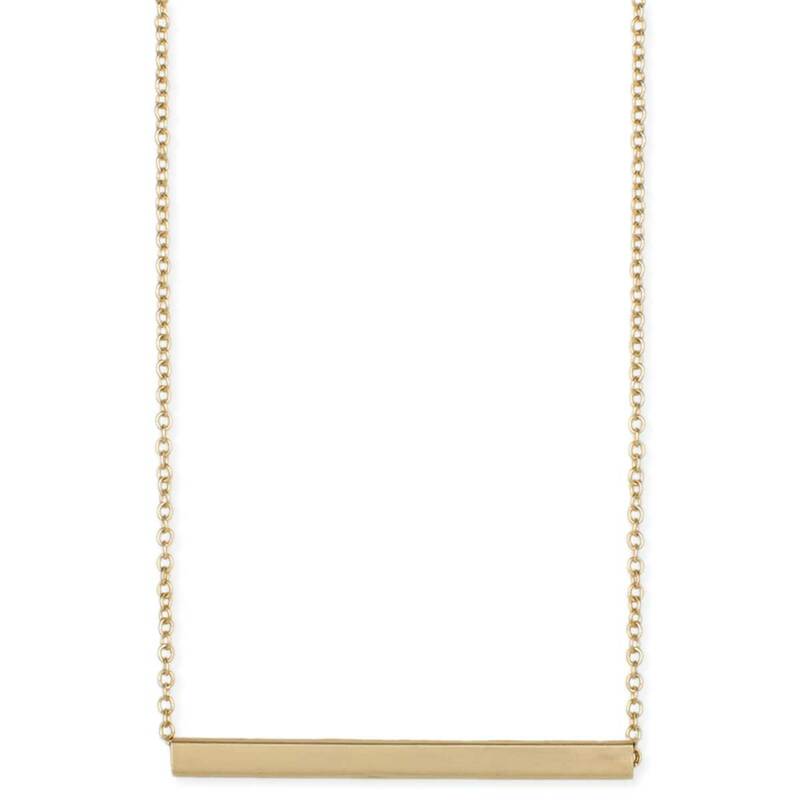 This minimalist bar necklace is anything but simple. 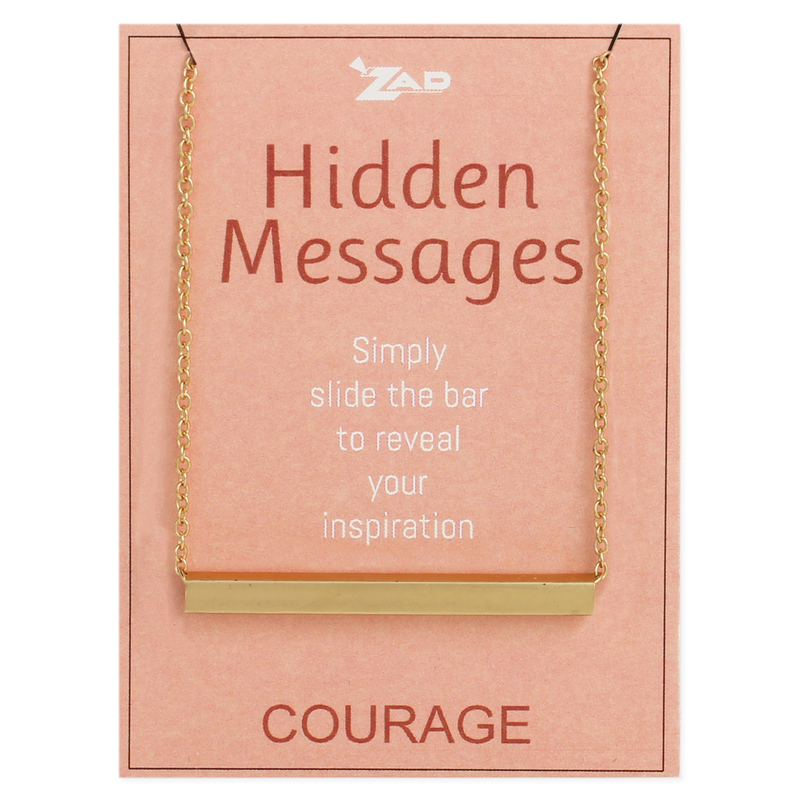 Plain metal tube encloses hidden message bar for the wearer to keep secret or share with her friends. 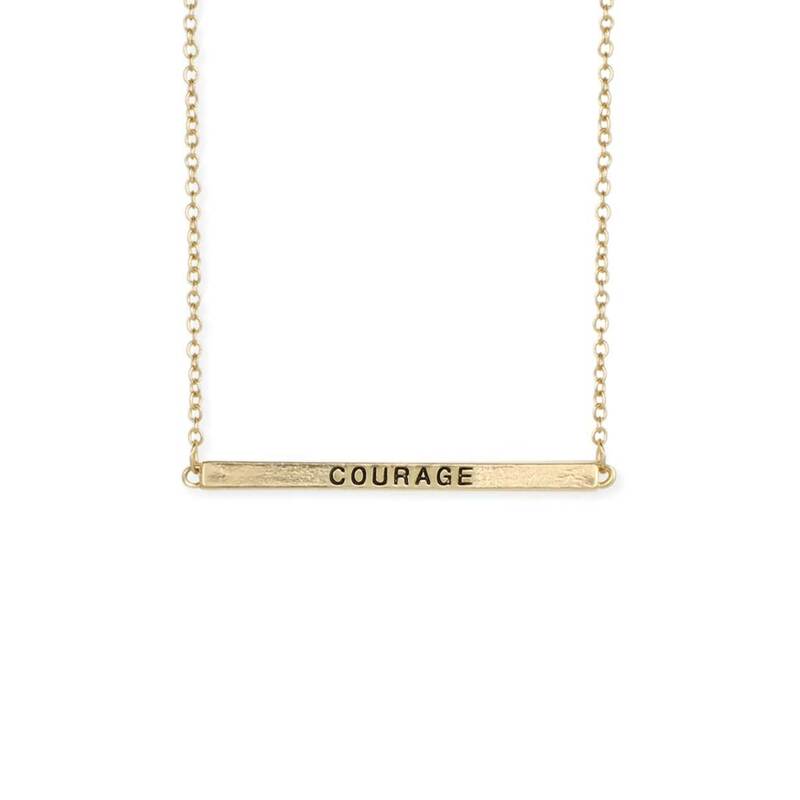 Slide out the interior bar to reveal your power word, COURAGE, and know that with this necklace on, you hold it close to your heart.